← Whistler Debates presents: Self-Publish or Perish? Yes, you read the headline right. On Monday October 21st the Whistler Museum will be shutting our doors. Don’t fret, we aren’t going anywhere, and we’ll re-open better than ever! We’re temporarily shutting our doors in order to renovate and install our most significant exhibit overhaul since the launch of our 2010 Winter Olympics exhibit, nearly three years ago! This exhibit update was made possible thanks to generous funding from the Whistler-Blackcomb Foundation. 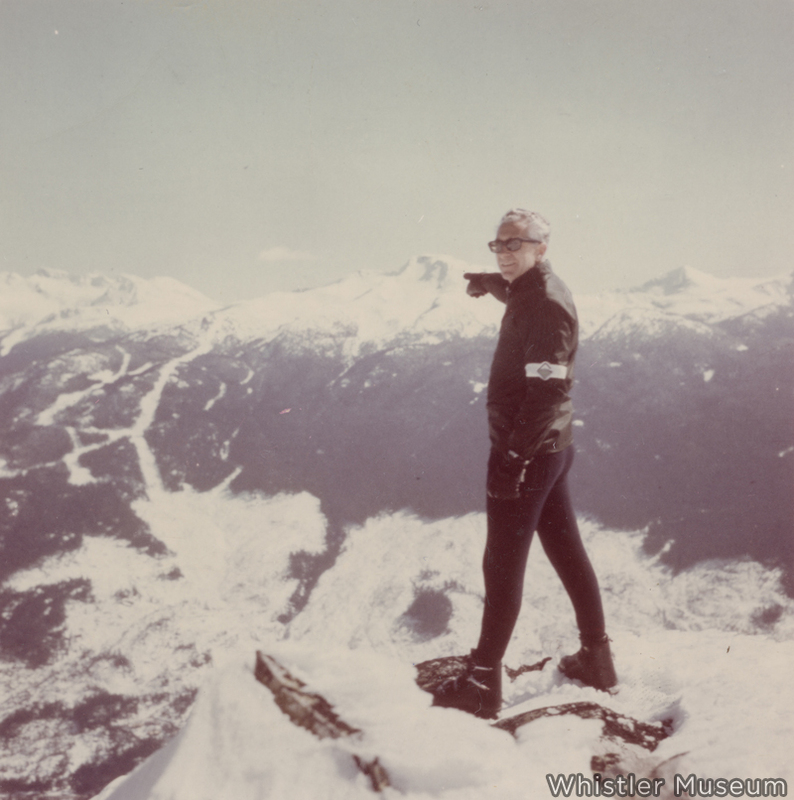 One of the most iconic images in Whistler’s history: Franz Wilhelmson points to his new ski resort, winter 1966. 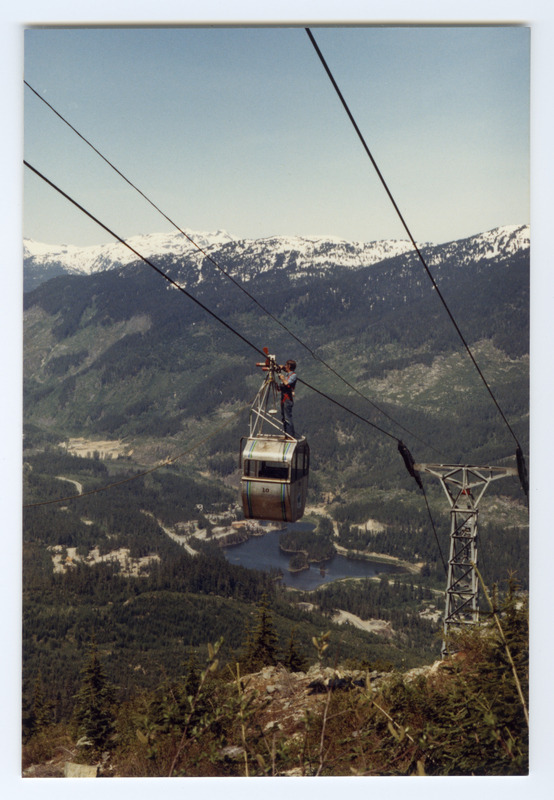 There will be minor tweaks throughout the museum, but the main project is installing a new exhibit showcasing the evolution of skiing in Whistler, covering almost 50% of our whole exhibit space. The entire back part of the museum will be retrofitted to resemble that most nostalgic example of alpine architecture, the ski cabin. Whistlerites have been pushing the envelope for years. 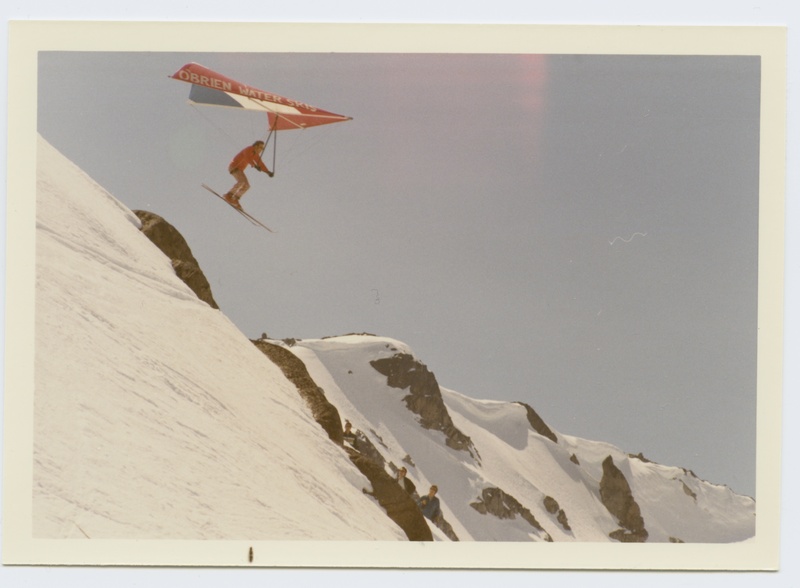 Here, a hang-glider gets rad on Whistler Mountain, 1970s. Over the last half-century, Whistler has played host to countless memorable moments, influential innovations, and some of the best skiing on the planet. This exhibit, first and foremost, celebrates this decades-long love affair between Whistler and skiing. We’ll have display panels and dozens of new artifacts showcasing various aspects of this history, from massive wooden skis from Rainbow Lodge, to the heroic efforts of ski patrollers to keep our mountains safe, and a look forward to the future of skiing, which continues to be shaped in large part by Whistler, and Whistlerites. We don’t want to give away all our secrets, but we’re pretty excited to show it all off once its done. We will be re-opening when we’re good and ready. By that we mean early to mid-November, just in time for the start of ski season. This is a hint about what you can expect in our new exhibit. Basically, we’re mimicking Whistler-Blackcomb’s opening strategy: our official launch party will be happening on November 28th, but if everything goes smoothly, and if we’re a little lucky, there’s a good chance we’ll actually be open before that date. The exhibit launch will be accompanied by a whole slew of exciting events, to be announced here and in other places in the coming weeks. This also means that if you want to see our exhibits in their current form, your last chance is to come to our Whistler Debates event “Self-Publish or Perish?” as part of the Whistler Readers & Writers Festival, this Sunday afternoon at 2pm. This entry was posted in Inside History, Skiing, Whistler Blackcomb. Bookmark the permalink.